What it is: After Apple and Qualcomm settled out of court, Intel plans to abandon their 5G modem plans. At one time, almost every computer used an Intel chip. Then the world switched from desktop/laptop PCs to mobile devices. First came the netbook, which led the way to the tablet. Intel tried to capture the mobile market with a mobile processor called the Atom. Unfortunately for Intel, the Atom processor was weak and still consumed more power than similar ARM-based processors. Given a choice between choosing a weaker processor that consumed more power (Intel’s Atom processor) or a more powerful processor that consumed less power (ARM-based processors), it was easy for other companies to choose ARM processors and ignore Intel’s Atom processor. After missing out on the mobile market, Intel next stumbled with their flagship processors for PCs, opening the way for their chief rival, AMD, to steal market share from Intel by offering less expensive processors that offer more power than Intel processors. If Intel can’t even protect their main market, what chances will the company have at branching out into different markets. With Apple and Qualcomm calling a truce to their dispute, Apple has agreed to use Qualcomm’s 5G modem chips in future iPhone and iPad devices, effectively shutting out Intel from the modem market. Of course that’s not a big problem since Intel’s 5G modem chips were markedly inferior to Qualcomm’s 5G modem chips. Given a choice between a weak 5G modem chip (Intel) or a more powerful 5G modem chip (Qualcomm), why would anyone want to use Intel 5G modem chips? That’s why Intel announced that they’re shutting down their 5G modem development. By abandoning the 5G market (that they couldn’t compete in) and losing the mobile market to ARM processors (that Intel couldn’t compete in), Intel has their main processor market that they’re slowly unable to compete in against AMD. If a company like Intel can’t compete in any market, what are their chances of thriving in the future? How about close to zero? Intel still has a huge share of the PC market, but the PC market has been shrinking steadily. Intel holding the lion’s share of the PC market is like Borders Books holding the lion’s share of the retail book market. It doesn’t matter if the market is shrinking. Intel is slowly slipping and shows little indication that they’re going to reverse course and prove superior to their rivals in any market. 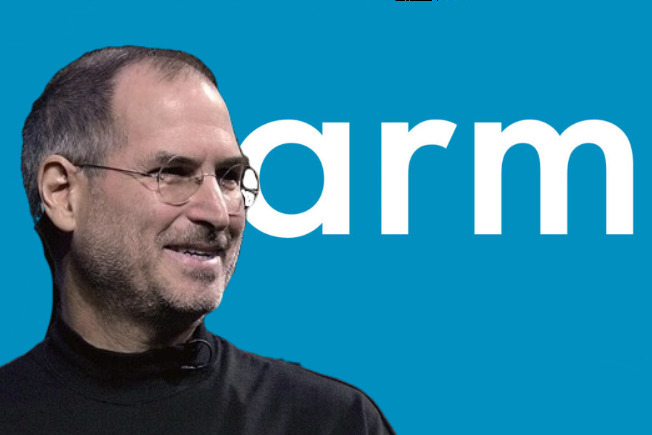 With Intel faltering, it only makes sense that Apple will eventually shift away from Intel processors and rely on their own A-series, ARM-based processors that are more power efficient and becoming more powerful with each succeeding generation. Within the next year or two, Apple’s A-series processors will be markedly superior and faster than any of Intel’s processors. When that occurs, why would Apple stick with Intel processors? Intel is a lumbering giant that’s slowly collapsing. It may take another decade to do so, but the coming collapse is coming. Then Intel can join the ranks of other former leaders like Digital Research (CP/M-80), Sun Microsystems, and WordPerfect Corporation. To read more about Intel’s abandonment of 5G modem chips, click here. Should HomePod Get an App Store? What it is: The HomePod is a stand-alone device, but rival smart speakers offer apps so the HomePod should too. Every time Apple introduces a first-generation product, you can be certain the second and third generations will be more capable. Initially, the iPhone didn’t allow you to install apps. Only later did Apple give the iPhone the ability to add apps, and this has turned into a billion dollar industry. Now with the HomePod, Apple is in a similar situation. The HomePod represents a smart speaker that offers hands-free computing. The only problem is that HomePod does little more than play music or answer telephone calls. If Apple opens up the HomePod to its own App Store, that would allow third-party developers to create unique voice-activated apps solely for the HomePod. Such apps could also work for the iPhone/iPad as well as long as users are willing to speak to control the app. Unless you absolutely want a speaker with excellent audio capabilities, there’s little reason for most people to buy and use a HomePod. Wait for the second or third generation of the HomePod to appear that will offer more features and possibly an App Store of its own. For HomePod to really become popular, Apple needs to figure out a must-have use for HomePod. With the Apple Watch, the must-have use is real-time health monitoring. With the HomePod, there is no clearly defined must-have use. Because there’s no must-have use, there’s little reason to to use a HomePod. 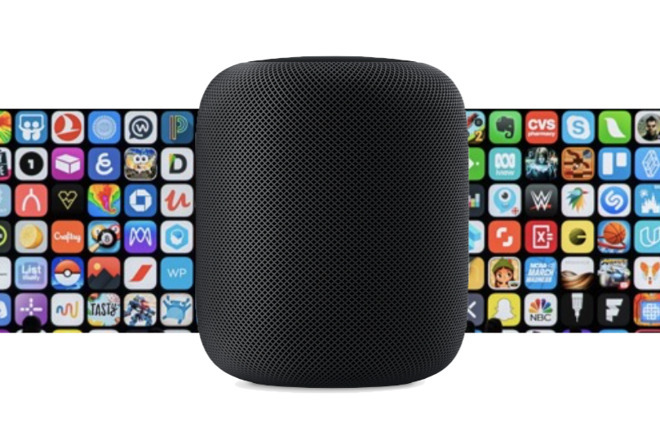 Until Apple makes a compelling case for using a HomePod, an App Store can give third-party developers a chance to give HomePod unique features that people might want. At the very least, an App Store can give people a reason to customize HomePod. To read more about the possibility of an App Store for HomePod, click here. What it is: Steve Jobs predicted platform changes happen roughly every ten years. At one time, the Macintosh ran on Motorola 68000 processors. When Motorola failed to keep advancing their processor technology, Apple switched to PowerPC processors, which offered better performance than comparable Intel processors. Eventually Apple switched from PowerPC processors to Intel processors because PowerPC processors couldn’t keep up with Intel processors in both speed and heating requirements. That meant Apple couldn’t produce a PowerPC laptop since the PowerPC processor ran too hot for a laptop enclosure. Now Intel is having trouble keeping their processors current with ARM processors, which are used in mobile devices because they require less power and thus provide longer battery life. At one time, Intel processors offered faster processing speed, but now ARM processors are just as fast (or even faster) than similar Intel processors while offering far less power requirements than Intel processors. Given a choice between slower speed and higher power requirements (Intel), or faster speed and lower power requirements (ARM), it’s easy to see why even Intel believes Apple will shift to ARM processors completely for the Macintosh in the near future. Apple’s own ARM processor rivals Intel’s processors and this gap will only increase over time, making it inevitable that Apple will shift to ARM processors for the Macintosh eventually. Once Apple switches to ARM processors, their devices will be faster and run longer than similar devices running Intel processors. That means the Intel market will fade away just like the PowerPC and Motorola 68000 processor market faded before. Steve jobs predicted that platforms will change every ten years simply because old technology will eventually be surpassed by newer technology, so it only makes sense to jump to newer technology when the older technology lags behind. When the macintosh is completely ARM-powered, that’s when we’ll see the vast difference between Windows PCs and ARM-based Macintosh computers. When that happens, that will spell the end of the Intel-dominated era of computing, which isn’t a bad thing any more than leaving behind the Z80 processor world of early PCs. Technology marches on and you can’t be held back by clinging to ancient technology. To read more about Steve Jobs’ prediction about switching platforms, click here. What it is: For years, iTunes has been used to play music, movies, audio books, and podcasts. Now Apple is rumored to be breaking iTunes into separate apps. The iTunes app began as a music player and a way to store songs on an iPod. Then Apple started adding more features to iTunes to play all types of audio and video files including movies, podcasts, and audio books. Not surprisingly, iTunes is now a clumsy, monolithic program that tries o do everything but does none of it well. That’s why the latest rumor is that Apple will break iTunes into several smaller, specialized apps. That way if you don’t listen to podcasts, you don’t have to worry about podcast features. If you don’t listen to audio books, you won’t have to wade through audiobook features. Part of the reasoning behind this rumor is that Apple is creating a cross-platform tool that will allow iOS developers to create macOS apps. Apple already announced this cross-platform tool last year so everyone’s expecting them to release it this year. iTunes is a perfect example of a dedicated program that simply grew too big with more and more features until it became a mess. Few people will mourn the loss of iTunes for doing everything so it’s likely this is a low-risk move on Apple’s part to make everything easier for everybody. Keep your eye on Apple’s cross-platform tool. This will likely become a major focus at the upcoming Worldwide Developer’s Conference (WWDC), which will allow iOS developers to turn their apps into Macintosh apps as well. This will give iOS developers another way to profit from their work while giving Apple more apps to market and entice others to buy and use a Macintosh. The future of Apple is iOS. To read more about Apple’s plan to break up iTunes, click here. Is Apple News+ the New iTunes? What it is: Within the first 48 hours of its release, Apple News+ attracted 200,000 subscribers. Back when DVD and tape cassette sales were falling and people were stealing MP3 files of their favorite songs, Apple helped save the music industry with iTunes, a legal music download service that eliminated the hassle of finding the song you wanted. Without iTunes, the music industry was flailing to make a profit in the new world of audio file downloads. Now the newspaper and magazine business is in equally dire straits. With advertising revenue plummeting, newspapers and magazines can’t survive on subscriber revenue alone. That means the newspaper and magazine industry is slowly dying and needs a new way to attract new subscribers. That’s what makes Apple News+ interesting. For a monthly price of $9.99, you get an all you can read option of several hundred newspapers and magazines. For people who enjoy reading magazines and newspapers, Apple News+ will save them plenty of money. However, can Apple News+ save the newspaper and magazine industry by attracting more subscribers? Both the Washington Post and The New York Times refused to join Apple News+ because they already offer a monthly subscription service to their content, so joining Apple News+ would mean competing against their own subscription service. The question is whether both newspapers can attract enough subscribers on their own. For smaller magazines, Apple News+ offers a wider audience. For larger newspapers like The New York times, Apple News+ isn’t proven. As long as The New York Times and The Washington Post can continue attracting subscribers to their own online service, there’s no incentive to join Apple News+. 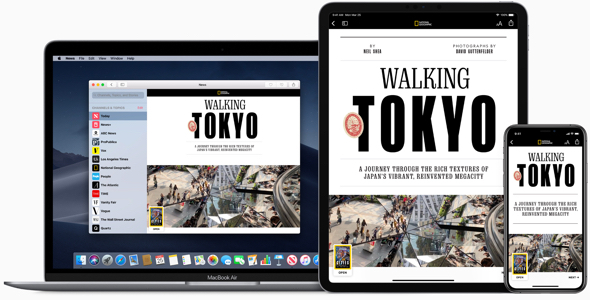 The moment Apple News+ proves they can attract more readers and revenue than either newspaper’s individual online service can offer, that’s the time they’ll switch to Apple News+. The Washington Post and The New York Times have nothing to lose by taking a wait and see approach. Expect more niche publications to join Apple News+ as the magazine industry continues to flounder. Apple News+ could become the next iTunes in saving an entire industry that’s slowly floundering. We all know the magazine and newspaper market won’t suddenly skyrocket any time soon. We just don’t know if Apple News+ will be the one that saves this industry from itself. To read more about Apple News+, click here.